CORNER LOT! Popular Daybreak Model, Make an Offer! It's that Simple! This home features an open great room floor plan w/ split bedrooms plus a den. The kitchen boasts Beautiful Granite counters, granite composite sink, Upgraded cabinetry w/ pull-out shelves, Pendant Lights over Kitchen Bar, built-in microwave plus all appliances stay. Custom built-in entertainment center, Large Master Bedroom with Bay Window, Master Bath has his and her sinks. 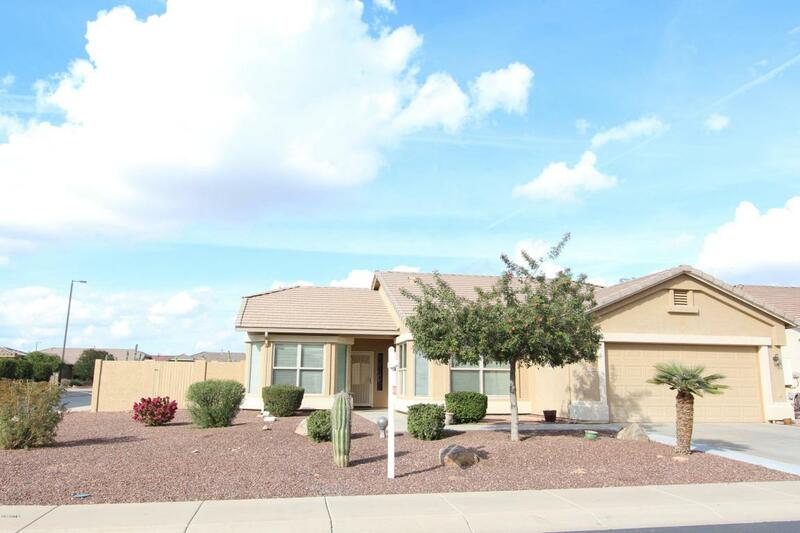 Kitchen has a Large Dining area with Bay Window, Ceiling fans, Upgraded All Tile flooring! South facing front. Back yard is a gardener's delight that features large covered patio, two gates,enclosed back w/ block wall for privacy, Solera Offers many activities, Including, golf, tennis, ceramics, play pool, lap pool, work out center, billiards, and lot's of active clubs to join, pickle ball, bridge, and the list goes on!